Famous Grouse has launched Ruby Cask, an affordable blended whisky that has been matured in Port-seasoned casks for a ‘soft and spicy twist’ on the blend. 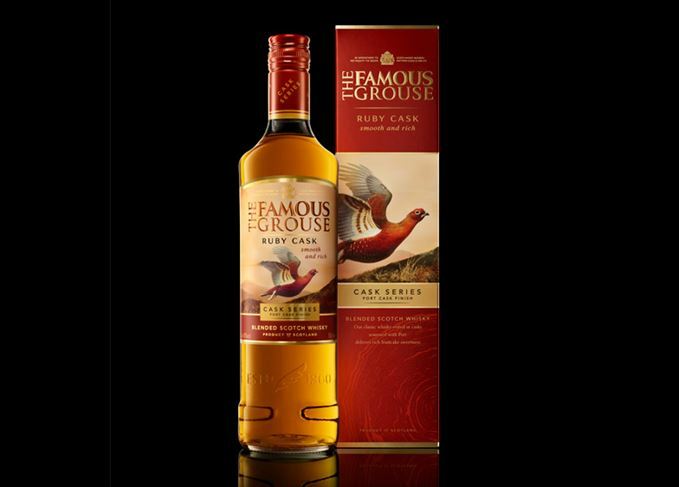 Priced at £16.50 per 70cl bottle, Famous Grouse Ruby Cask is exclusively available at UK supermarket Sainsbury’s. The blend is said to contain notes of ‘soft vanilla, cinnamon and cloves’ on the nose, with ‘a mellow layer of sweetness reminiscent of a good fruit cake’ on the palate. The whisky is the second expression in Famous Grouse’s Cask Series, which is designed to champion the impact different casks have on flavour. ‘This is a really exciting moment for The Famous Grouse team as we showcase the impact of wood on flavour with Scotland’s most loved whisky,’ said master blender Kirsteen Campbell. Famous Grouse Ruby Cask is bottled at 40% abv. The previous expression in the range, Famous Grouse Bourbon Cask, was launched in April this year as a Tesco-only exclusive.